College adjusts value of some merit scholarships | The Gettysburgian. 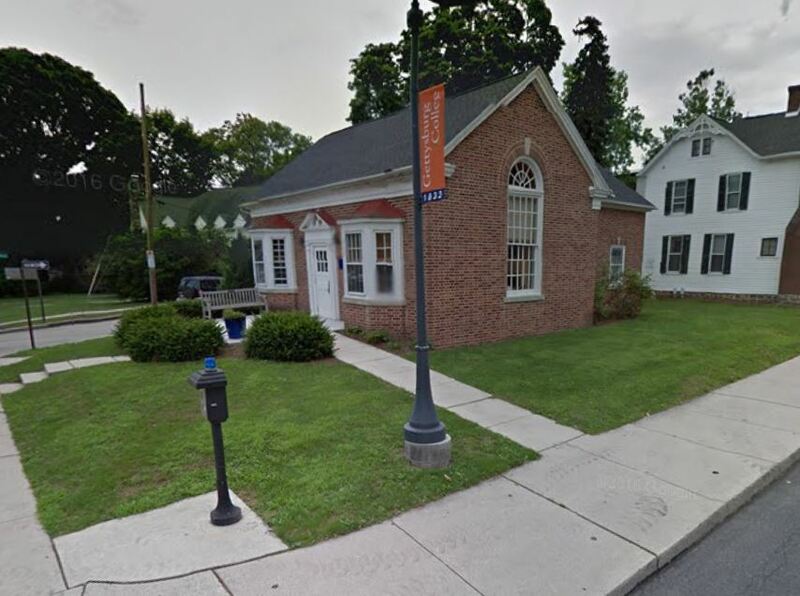 Gettysburg College announced some modifications in the value of merit scholarships beginning with the incoming Class of 2021 late last week. While the Abraham Lincoln Scholarship — the college’s top merit scholarship — will remain at $25,000 per year, the Presidential Scholarship increased from $15,000 to $20,000 annually, the David Wills Scholarship increased from $10,000 to $15,000 annually, and the 1832 Founders Scholarship increased from $7,000 to $10,000 annually. For students currently enrolled at Gettysburg (before the Class of 2021), the value of any merit scholarship currently possessed will not change; the adjusted values apply only to new students from the Class of 2021 onward. The value of merit scholarships was last adjusted in 2014. Two weeks ago, during a town hall with The Gettysburgian, President Janet Morgan Riggs said that the college’s primary focus with respect to scholarships is on increasing access to need-based aid. The college recently announced that the 2017-18 comprehensive fee is $65,210, a 3.5% spike from the 2016-17 academic year. Christina Gormley, director of financial aid, said that “marketplace demands” drove the college to make the adjustments to these merit scholarships’ values. 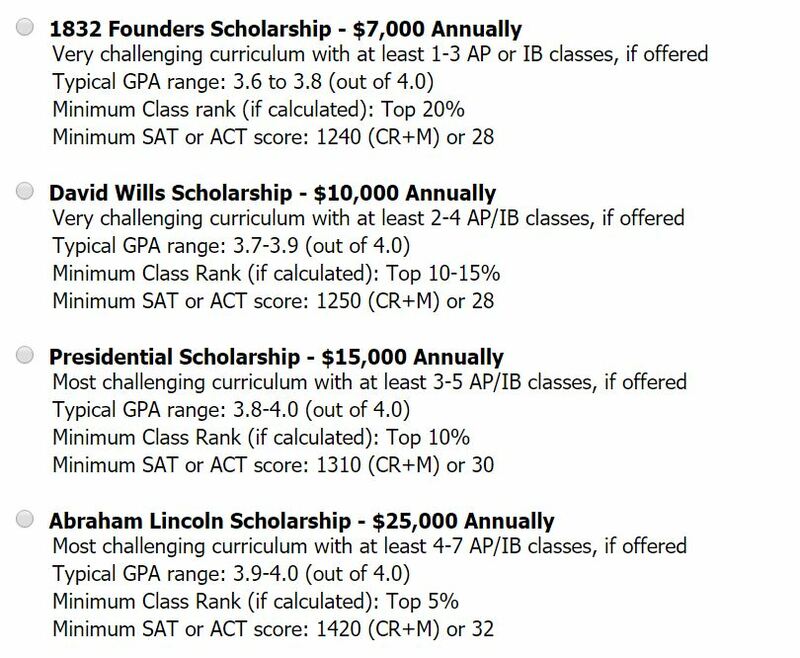 The general criteria for merit scholarships at Gettysburg according to the Net Price Calculator available on the college’s website. Note: These values have not been updated to reflect the latest changes. She also emphasized that merit scholarship values do not change for students already enrolled. Alexa Secrest ’20, who holds a Presidential scholarship, finds it unfair that merit scholarship values do not increase for those presently enrolled since they are responsible for tuition increases.